I found this excellent paper on the Internet and am happy to share it (see Enclosure). Freyssinet was born in at Objat, Corrèze, France. He worked in the École Nationale des Ponts et Chaussées in Paris, France where he designed several bridges until the First World War intervened. His tutors included Charles Rabut. He served in the French Army from 1904–1907 and again from 1914-1918 as a road engineer. 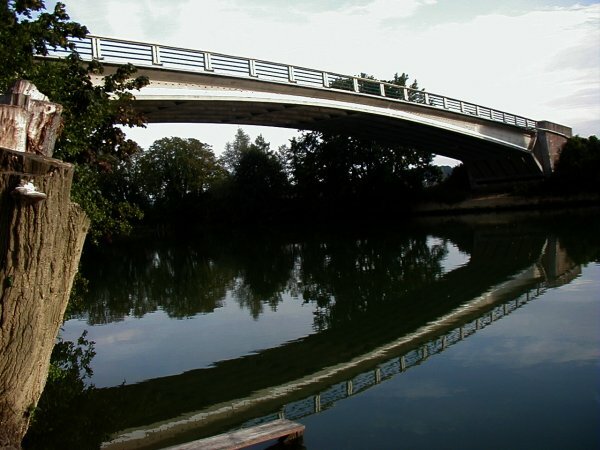 His most significant early bridge was the three span Pont le Veurdre near Vichy, built in 1911. At the time, the 72.5 m spans were the longest so far constructed. 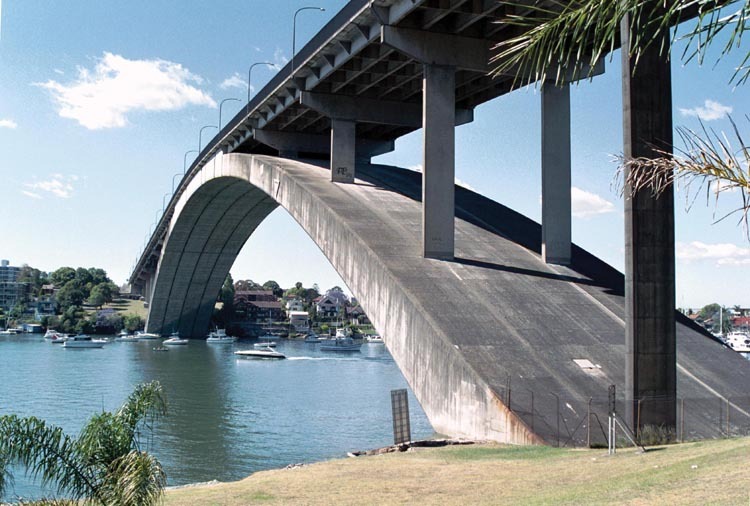 Freyssinet's proposal was for three reinforced concrete truss spans, and was significantly less expensive than the standard masonry arch design. The design used jacks to raise and connect the arches, effectively introducing an element of prestress. The bridge also enabled Freyssinet to discover the phenomenon of creep in concrete, whereby the concrete deforms with time when placed under stress. Regarding this bridge, Freyssinet wrote: "I have always loved it more than any other of my bridges, and of all that the War has destroyed, it is the only one whose ruin has caused me real grief". He served as the director of Public Works in Moulins starting in 1905. He also served as a road engineer in central France from 1907 till 1914. 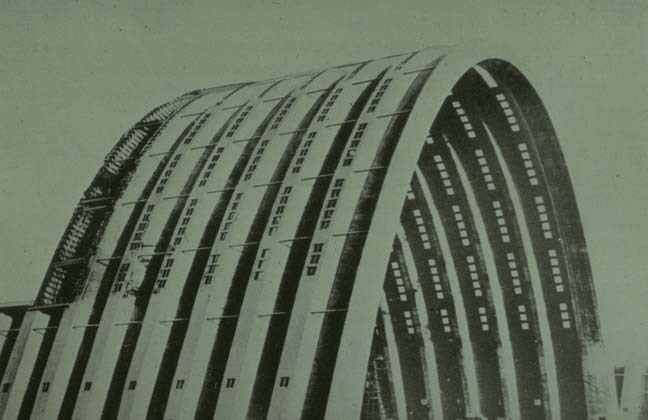 Working for Claude Limousin until 1929, he designed a number of structures including a 96.2 m (315 ft) arch bridge at Villeneuve-sur-Lot, and several large thin-shell concrete roofs, including aircraft hangars at Orly. He also built cargo ships from concrete. His 1919 design at St Pierre du Vauvray again increased the record for a concrete arch span, with 132 m (435 ft) hollow arches, completed in 1923. His largest structure was the Plougastel Bridge with three identical spans of 180 m each, completed in 1930. Here he studied creep in more detail, and developed his ideas of prestressing, taking out a patent in 1928. Although Freyssinet did much to develop prestressed concrete, he was not its only inventor. 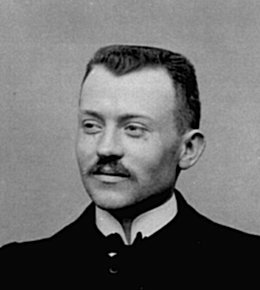 Other engineers such as Doehring had patented methods for prestressing as early as 1888, and Freyssinet's mentor Rabut built prestressed concrete corbels. Freyssinet's key contribution was to recognise that only high-strength prestressing wire could counteract the effects of creep and relaxation, and to develop anchorages and other technology which made the system flexible enough to be applied to many different types of structures. Having left Limousin, he set up his own firm to build prestressed concrete electricity pylons, but the business failed. In 1935, he used prestressing to consolidate the maritime station of Le Havre which was threatening to settle beyond repair. Freyssinet introduced prestressed concrete beams, and jacked up the shipyard buildings. Following this success, he joined the firm of Campenon-Bernard and went on to design several prestressed bridges. Many of Freyssinet's designs were new and elaborate for his time—some of them so much so that they were never built, such as the Phare du Monde, a 2,300 foot tower planned for the 1937 World Fair in Paris. According to Leonardo Troyano, "his capacity for creation, invention and research and his non-conformity with existing ideas and doctrines made him one of the most notable engineers in the history of engineering"
existence of). This encouraged him to develop high quality concrete and high strength steel that were necessary for the invention of prestressed concrete in 1928.
describes the journey taken to create this “entirely new material” that led to a “revolution in the art of building”.